The Reader lamp can be used as a floor lamp, but also can be converted to a half height lamp as well as a long arm table lamp. Long all flexible arm 50cm long for that long reach over the shoulder, nearer to the reading material. This type of lighting is used by professionals the world over for reading, restoring fine art, jewellry manufacturers, crafts people,medical use, and comes highly recommended by opticians everywhere. NOW IN STOCK FOR IMMEDIATE DESPATCH. A brand new floor lamp made with the serious reader in mind. 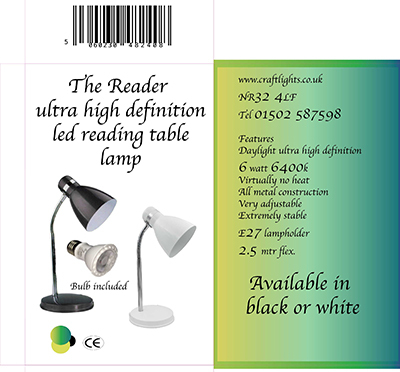 The ultra high definition lamps make print jump off the page enabling the reader to see print in a clearer less tireing way. This is just like having a new pair of eyes, but seeing is believing. 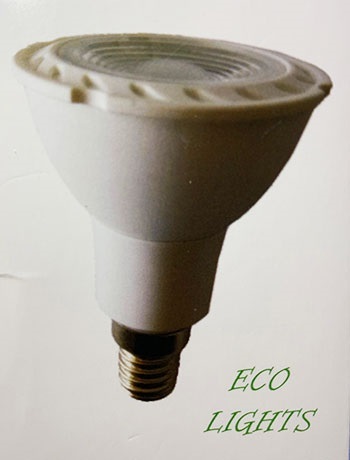 Virtually no heat and only consumes 6 watt.